How to add camera ? Besides the background image and color that you would easily get in Animiz, you are allowed to customized unique background color. Click "Background", and click "+" on the timeline to enter the background library. Move to "Color". 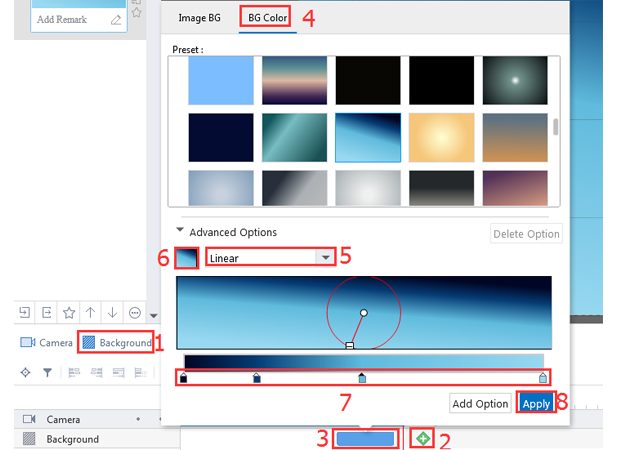 There are three ways to create your own background color. Open the background color window. 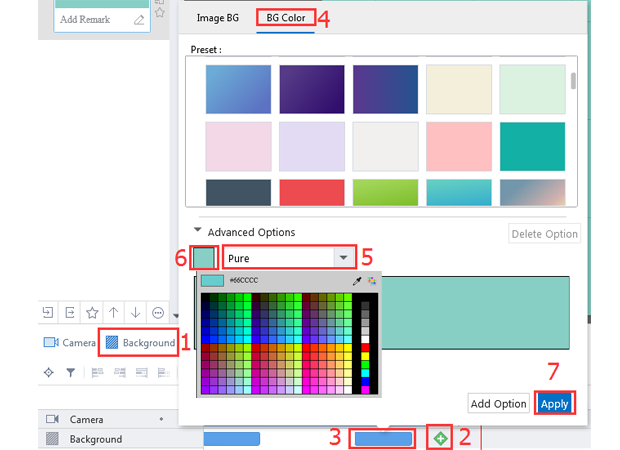 Click the "Advanced Options" and choose "Pure", choose a color in the system palette. Open the background color window. Click the "Advanced Options" and choose "Liner". Choose at least two colors in the system palette and adjust the gradient. Open the background color window. Click the "Advanced Options" and choose "Radial". 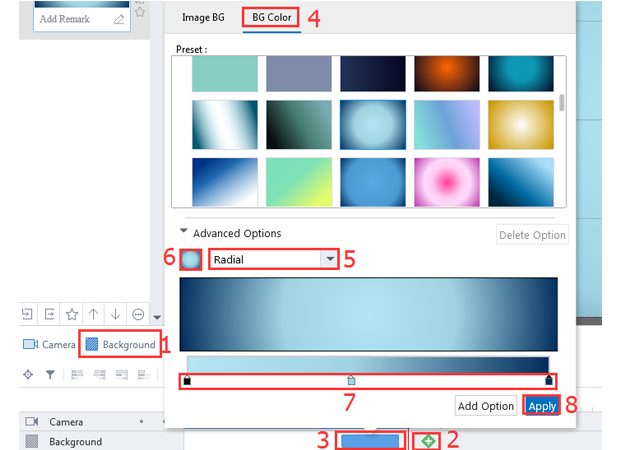 Choose at least two colors in the system palette and adjust the gradient. Previous：How to add scene background ? Next：How to add subtitles ?